Making a purchase order from Window Fly Screens UK could not be easier. Just browse our list insect screen products and click on any items that you wish to buy and then put them in to your shopping basket. 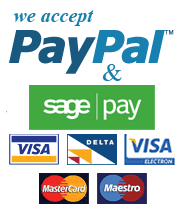 You can pay online via our PayPal secure banking system. We accept credit and debit card payments via Paypal. After finishing your selection, click on "Checkout" and you will be asked for details that we will need to be able to satisfy the order. At "Checkout" you can also make a bank to bank (Bacs) payment if you wish to buy your window flyscreens in this way. If you prefer, you can order any of our flyscreens over the telephone.